Stay The Same is a 13 page "Yuri!!! on Ice" fancomic/doujin by Savi (10 pages fully illustrated). 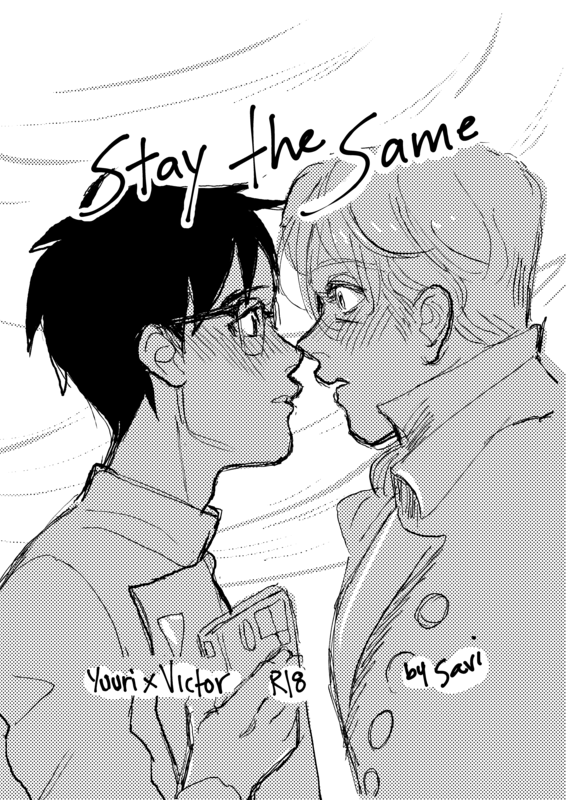 The story flows through different universes, but is centered around Yuuri and Victor and their love for one another. This comic is intended for audiences 18 years and older. Content Warnings: Blood, uncensored genitalia, Angst/guilt. Additional tags: Mermaids, Vampires, Sci-fi, Regency, Canon, Sad but also happy! This is 100% fan content and has no official affiliation with Yuri!!! on Ice the series. Do not reproduce or distribute this work online. Not suitable for minors. View with discretion.